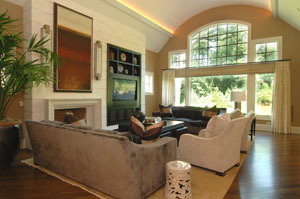 Augustine Custom Homes - Your Home Building Partner. Customer satisfaction doesn't happen by accident. 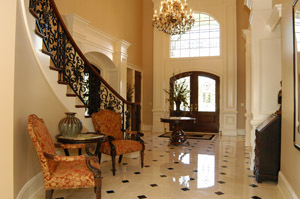 At Augustine Custom Homes, we take great pride in our commitment to you and your new home. We believe that effective communication and attention to customer needs are the hallmarks of customer satisfaction. 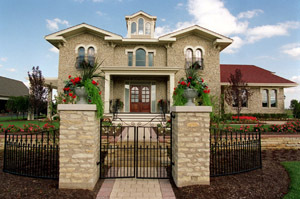 Augustine Custom Homes has built numerous custom homes throughout the Western and Northern Chicagoland Suburbs. We work closely with each customer to personalize your home for your individual family needs. Todd Augustine, president of Augustine Custom Homes, will lead you through every step of the building process so you will enjoy your building experience. Bringing his organizational skills and attention to detail to every home he builds assures you, our customer, of a stress-free building process. Our most important goal is to exceed our customer's expectations in quality, value and personal attention. As you visit our site, you'll find many helpful tips to help make your custom home building experience a delight, not a task. Our Building Process page takes you step by step through the Augustine method of home construction. We want you to have as much information possible about our home building process so you can enjoy the months we'll spend working together. Copyright © 2000-2009 Augustine Custom Homes, Inc.